From Feb 20 to Feb 27, theDock – Centre for Social Impact will be hosting its first Community Week. 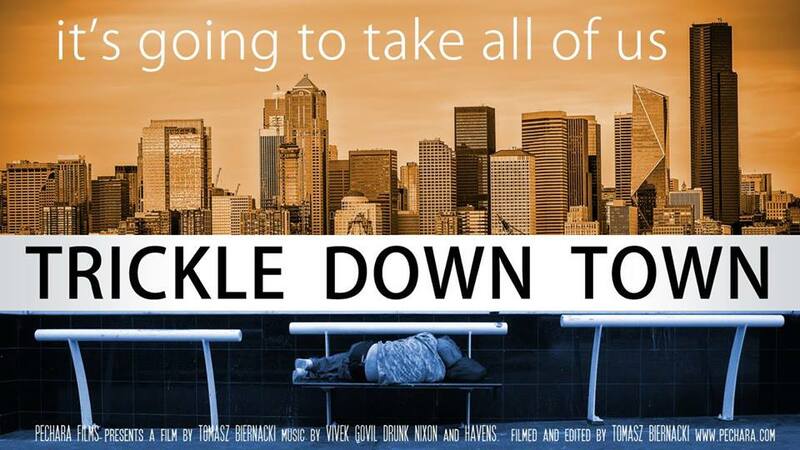 Community Week concludes with a screening of Trickle Down Town, filmmaker Tomasz Biernacki’s new thought-provoking documentary about the homeless crisis in Seattle. Deftly interweaving in-depth stories of community members who are living the crisis on the streets with interviews of political leaders and community advocates, vivid images of the current state of affairs and a poignant examination of the roots of homelessness in the region, Biernacki paints a picture of a city struggling to come to grips with an unprecedented emergency, and finds a few glimmers of hope.